I believe this is the largest magic catalog ever published. It clocks in at more than 620 pages and is bursting full with products. 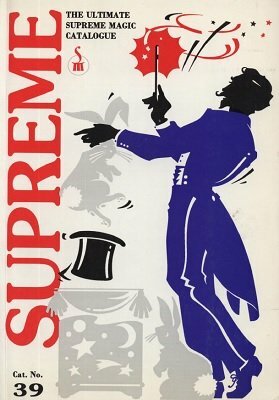 A unique lovely feature of this catalog is that each section is introduced by a famous magician: Mentalism by David Berglas, Ropes by Pavel, Comedy by Karrel Fox etc. 1st edition 1992, 625 pages.